Iannis Xenakis (Greek: Γιάννης (Ιάννης) Ξενάκης [ˈʝanis kseˈnacis]; 29 May 1922 – 4 February 2001) was a Greek-French composer, music theorist, architect, and engineer. After 1947, he fled Greece, becoming a naturalized citizen of France. He is considered an important post-World War II composer whose works helped revolutionize 20th century classical music. Xenakis pioneered the use of mathematical models in music such as applications of set theory, stochastic processes and game theory and was also an important influence on the development of electronic and computer music. He integrated music with architecture, designing music for pre-existing spaces, and designing spaces to be integrated with specific music compositions and performances. Among his most important works are Metastaseis (1953–54) for orchestra, which introduced independent parts for every musician of the orchestra; percussion works such as Psappha (1975) and Pléïades (1979); compositions that introduced spatialization by dispersing musicians among the audience, such as Terretektorh (1966); electronic works created using Xenakis's UPIC system; and the massive multimedia performances Xenakis called polytopes. Among the numerous theoretical writings he authored, the book Formalized Music: Thought and Mathematics in Composition (French edition 1963, English translation 1971) is regarded as one of his most important. 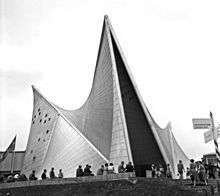 As an architect, Xenakis is primarily known for his early work under Le Corbusier: the Sainte Marie de La Tourette, on which the two architects collaborated, and the Philips Pavilion at Expo 58, which Xenakis designed by himself. Xenakis was born in Brăila, Romania. He was the eldest son of Klearchos Xenakis, a Greek businessman from Euboea, and Fotini Pavlou from Lemnos. His parents were both interested in music, and it was Fotini who introduced the young Xenakis to music. Her early death, when Xenakis was five years old, was a traumatic experience that, in his own words, "deeply scarred" the future composer. He was subsequently educated by a series of governesses, and then, in 1932, sent to a boarding school on the Aegean island of Spetsai, Greece. He sang in the school's boys' choir, where the repertoire included works by Palestrina, and Mozart's Requiem, which Xenakis memorized in its entirety. It was also at the Spetsai school that Xenakis studied notation and solfège, and became enamoured with Greek traditional and sacred music. In 1938, after graduating from the Spetsai school, Xenakis moved to Athens to prepare for entrance exams at the National Technical University of Athens. Although he intended to study architecture and engineering, he also took lessons in harmony and counterpoint with Aristotelis Koundouroff. In 1940 he successfully passed the exams, but his studies were cut short by the Greco-Italian War, which began with the Italian invasion on 28 October 1940. Although Greece eventually won the war, it was not long before the German army joined the Italians in the Battle of Greece, in April 1941. This led to the Axis occupation of Greece during World War II, which lasted until late 1944, when the Allies began their drive across Europe, forcing the Axis forces to withdraw. Xenakis joined the National Liberation Front early during the war, participating in mass protests and demonstrations, and later becoming part of armed resistance—this last step was a painful experience Xenakis refused to discuss until much later in life. After the Axis forces left, Churchill ordered that British forces step in to help restore the Greek monarchy; they were opposed by the Democratic Army of Greece, and the country plunged into a civil war. In December 1944, during the period of Churchill's martial law, Xenakis (who was by then a member of the communist students' company of the left-wing Lord Byron faction of ELAS) became involved in street fighting against British tanks. He was wounded and facially disfigured when shrapnel from a tank blast hit his cheek and eye; that Xenakis survived the injury has been described as a miracle. He survived seriously scarred, and lost sight in his left eye. For years I was tormented by guilt at having left the country for which I'd fought. I left my friends—some were in prison, others were dead, some managed to escape. I felt I was in debt to them and that I had to repay that debt. And I felt I had a mission. I had to do something important to regain the right to live. It wasn't just a question of music—it was something much more significant. In the meantime, in Greece he was sentenced (in absentia) to death by the right-wing administration. The sentence was commuted to ten years' imprisonment in 1951, and only lifted some 23 years later, after the fall of The Regime of the Colonels in 1974. Although he was an illegal immigrant in Paris, Xenakis was able to get a job at Le Corbusier's architectural studio. He worked as engineering assistant at first, but quickly rose to performing more important tasks, and eventually to collaborating with Le Corbusier on major projects. These included a kindergarten on the roof of an apartment block in Nantes (Rezé) (Also: Unité d'Habitation of Nantes-Rezé), parts of government buildings in Chandigarh, India, the "undulatory glass surfaces" of Sainte Marie de La Tourette, a Dominican priory in a valley near Lyon, and the Philips Pavilion at Expo 58—the latter project was completed by Xenakis alone, from a basic sketch by Le Corbusier. The experience Xenakis gained played a major role in his music: important early compositions such as Metastaseis B (1953–54) were based directly on architectural concepts. I understood straight away that he was not someone like the others. [...] He is of superior intelligence. [...] I did something horrible which I should do with no other student, for I think one should study harmony and counterpoint. But this was a man so much out of the ordinary that I said... No, you are almost thirty, you have the good fortune of being Greek, of being an architect and having studied special mathematics. Take advantage of these things. Do them in your music. Francisco Estévez has described this work as "mathematical formulas translated . . . into beautiful, exciting, and above all, convincing music." Xenakis attended Messiaen's classes regularly in 1951–53. Messiaen and his students studied music from a wide range of genres and styles, with particular attention to rhythm. Xenakis's compositions from 1949–52 were mostly inspired by Greek folk melodies, as well as Bartók, Ravel, and others; after studying with Messiaen, he discovered serialism and gained a deep understanding of contemporary music (Messiaen's other pupils at the time included, for example, Karlheinz Stockhausen and Jean Barraqué). Messiaen's modal serialism was an influence on Xenakis's first large-scale work, Anastenaria (1953–54): a triptych for choir and orchestra based on an ancient Dionysian ritual. The third part of the triptych, Metastaseis, is generally regarded as the composer's first mature piece; it was detached from the triptych to mark the beginning of the "official" Xenakis oeuvre. In 1953 Xenakis married Françoise Xenakis (née Gargouïl), journalist and writer, whom he met in 1950. Their daughter Mâkhi, later a painter and sculptor, was born in 1956. In late 1954, with Messiaen's support, Xenakis was accepted into the Groupe de Recherches de Musique Concrète, an organization established by Pierre Schaeffer and Pierre Henry, dedicated to studying and producing electronic music of the musique concrète variety. Shortly after that Xenakis met conductor Hermann Scherchen, who was immediately impressed by the score of Metastaseis and offered his support. Although Scherchen did not premiere that particular work, he did give performances of later pieces by Xenakis, and the relationship between the conductor and the composer was of vital importance for the latter. By the late 1950s Xenakis slowly started gaining recognition in artistic circles. In 1957 he received his first composition award, from the European Cultural Foundation, and in 1958 the first official commission came through, from Service de Recherche of Radio France. In the same year he produced a musique concrète piece, Concret PH, for the Philips Pavilion, and in 1960 Xenakis was well-known enough to receive a commission from UNESCO, for a soundtrack for a documentary film by Enrico Fulchignoni. After leaving Le Corbusier's studio in 1959, Xenakis supported himself by composition and teaching, and quickly became recognized as one of the most important European composers of his time. He became especially known for his musical research in the field of computer-assisted composition, for which he founded the Equipe de Mathématique et Automatique Musicales (EMAMu) in 1966 (known as CEMAMu: Centre d’Etudes de Mathématique et Automatique Musicales, since 1972). He taught at Indiana University in 1967–72 (and established a studio similar to EMAMu there), and worked as visiting professor at the Sorbonne in 1973–89. Xenakis frequently gave lectures (for instance, from 1975 to 1978 he was Professor of Music at Gresham College, London, giving free public lectures), taught composition, and his works were performed at numerous festivals worldwide, including the Shiraz Arts Festival in Iran. Notable students include Pascal Dusapin, Henning Lohner, Miguel Ángel Coria and Susan Frykberg. 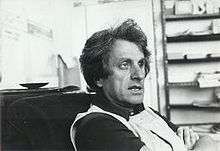 In addition to composing and teaching, Xenakis also authored a number of articles and essays on music. Of these, Musiques formelles (1963) became particularly known. A collection of texts on applications of stochastic processes, game theory and computer programming in music, it was later revised, expanded and translated into English as Formalized Music: Thought and Mathematics in Composition (1971) during Xenakis's tenure at Indiana University. Xenakis was an atheist. Zbigniew Skowron, describing Aïs, wrote "In accordance with his atheist views, Xenakis emphasizes the finality of death as the ultimate event of human life, and this is probably why wild shrieks and moans punctuate his score". Xenakis himself wrote, "Man is one, indivisible, and total. He thinks with his belly and feels with his mind. I would like to propose what, to my mind, covers the term "music": ... 7. It is a mystical (but atheistic) asceticism ...". Xenakis completed his last work, O-mega for percussion soloist and chamber orchestra, in 1997. His health had been getting progressively worse over the years, and by 1997 he was no longer able to work. In 1999, Xenakis was awarded the Polar Music Prize "for a long succession of forceful works, charged with sensitivity, commitment and passion, through which he has come to rank among the most central composers of our century in the realm of art music, exercising within its various fields an influence which cannot be readily overstated". After several years of serious illness, on 1 February 2001 the composer lapsed into a coma. He died in his Paris home four days later, on 4 February, aged 78. He was survived by his wife and his daughter. Specific examples of mathematics, statistics, and physics applied to music composition are the use of the statistical mechanics of gases in Pithoprakta, statistical distribution of points on a plane in Diamorphoses, minimal constraints in Achorripsis, the normal distribution in ST/10 and Atrées, Markov chains in Analogique, game theory in Duel, Stratégie, and Linaia-agon, group theory in Nomos Alpha (for Siegfried Palm), set theory in Herma and Eonta, and Brownian motion in N'Shima. Persephassa, commissioned by the Shiraz Arts Festival, performed by Les Percussions de Strasbourg, receiving its world premiere in Persepolis in 1969. This is a "polytope" composed specific to the historic site. Subsequently, he was once again commissioned by the Shiraz Arts Festival and composed Persepolis for the occasion. Although electroacoustic compositions represent only a small fraction of Xenakis's output, they are highly relevant to musical thinking in the late 20th century. Important works in this medium include Concret PH (1958), Analogique A–B (1958–59), Bohor (1962), La légende d'Eer (1977), Mycenae-Alpha (1978), Voyage absolu des Unari vers Andromède (1989), Gendy301 (1991), and S709 (1994). 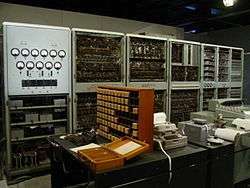 By 1979, he had devised a computer system called UPIC, which could translate graphical images into musical results. "Xenakis had originally trained as an architect, so some of his drawings, which he called 'arborescences', resembled both organic forms and architectural structures." These drawings' various curves and lines that could be interpreted by UPIC as real time instructions for the sound synthesis process. The drawing is, thus, rendered into a composition. Mycenae-Alpha was the first of these pieces he created using UPIC as it was being perfected. ↑ Gagné 2012, 299: "Xenakis settled in Paris, becoming a French citizen in 1965." ↑ Hoffmann n.d.: "[Xenakis] belonged to the pioneering generation of composers who revolutionized 20th-century music after World War II." ↑ MSN Encarta encyclopedia, "Iannis Xenakis (Ιάννης Ξενάκης) (May 29, 1922 – February 4, 2001) was a Greek composer and one of the most important modernist composers of the 20th century" . Archived 31 October 2009. 1 2 Varga 1996, 14. ↑ Gilbert, Martin. 1966. Winston Churchill, 56. Oxford University Press. 1 2 3 Hoffmann, Grove. ↑ Xenakis, Brown, and Rahn 1987, 20. ↑ For a study of Messiaen's teaching methods, see Boivin 1995, . ↑ F. Xenakis and Waldburg-Wolfegg n.d.
↑ Chrissochoidis, Houliaras, and Mitsakis 2005. ↑ Di Scipio 1998, 201. ↑ Hugill 2008, 95, 182. ↑ Di Scipio 1998, 220. Amagali, Rosemary Tristano. 1975. "Texture as an Organizational Factor in Selected Works of Iannis Xenakis". M.M. Thesis, Indiana University. Anon. 1999. "Iannis Xenakis, Laureate of the Polar Music Prize 1999". Polar Music Prize website (accessed 29 April 2016) Archived 8 March 2012 at the Wayback Machine. Baltensperger, André. 1995. Iannis Xenakis und die Stochastische Musik – Komposition im Spannungsfeld von Architektur und Mathematik. Zürich. Paul Haupt. Bardot, Jean-Marc. 1999. "Cendrées de Xenakis ou l'émergence de la vocalité dans la pensée xenakienne." Undergraduate thesis (equivalent). Saint-Etienne: Université Jean Monnet. Barthel-Calvet, Anne-Sylvie. 2002. "Chronologie". In Portrait(s) de Iannis Xenakis, edited by François-Bernard Mâche, 25–82. Paris: Bibliothèque Nationale de France. ISBN 2-7177-2178-9. Biasi, Salvatore di. 1994. Musica e matematica negli anni 50–60: Iannis Xenakis. Bologna. Università degli Studi di Bologna. Boivin, Jean. 1995. La Classe de Messiaen. Paris: Christian Bourgois. Chrissochoidis, Ilias, Stavros Houliaras, and Christos Mitsakis. 2005. "Set theory in Xenakis' EONTA". In International Symposium Iannis Xenakis, edited by Anastasia Georgaki and Makis Solomos, 241–49. Athens: The National and Kapodistrian University. Di Scipio, Agostino. 1998. "Compositional Models in Xenakis's Electroacoustic Music". Perspectives of New Music 36, no. 2 (Summer): 201–43. Gagné, Nicole V. 2012. Historical Dictionary of Modern and Contemporary Classical Music. Lanham: Scarecrow Press. Griffiths, Paul. 2001. "Iannis Xenakis, Composer Who Built Music on Mathematics, Is Dead at 78". The New York Times (5 February): B7 (accessed 13 September 2009). Harley, James. 2004. Xenakis: His Life in Music. London: Taylor & Francis Books. ISBN 0-415-97145-4. Hoffmann, Peter. n.d. "Xenakis, Iannis". Grove Music Online, edited by Deane Root (accessed 29 April 2016). Hugill, Andrew. 2008. The Digital Musician. New York: Routledge. Matossian, Nouritza. 1986. Xenakis. London: Kahn and Averill. ISBN 1-871082-17-X. Skowron, Zbigniew (ed.). 2001. Lutosławski Studies. Oxford and New York: Oxford University Press. ISBN 978-0-19-816660-3. Thatcher, Nathan. 2016. Paco. New York: Mormon Artists Group. ISBN 9781523859092. Varga, Bálint András. 1996. Conversations with Iannis Xenakis. London: Faber and Faber. ISBN 0-571-17959-2. Xenakis, Françoise, and Andreas Waldburg-Wolfegg. n.d. "Mme Xenakis in Conversation", translated by Sarah Green and Maro Elliott. International Contemporary Ensemble website (archive from 11 June 2015, accessed 29 April 2016). Xenakis, Iannis. 1992. Formalized Music: Thought and Mathematics in Composition, second edition. Harmonologia Series, no. 6. Stuyvesant, NY: Pendragon Press. ISBN 9781576470794. Xenakis, Iannis, Roberta Brown, and John Rahn. 1987. "Xenakis on Xenakis". Perspectives of New Music 25, nos. 1 and 2 (Winter and Summer): 16–63. Clark, Philip. 2009. "Xenakis", in The Wire Primers: A Guide To Modern Music, 191–98. London and New York: Verso. ISBN 978-1-84467-427-5. Paland, Ralph, and Christoph von Blumröder (eds.). 2009. Iannis Xenakis: Das elektroakustische Werk. Internationales Symposion. Tagungsbericht 2006. Signale aus Köln. Beiträge zur Musik der Zeit 14. Vienna. Der Apfel. ISBN 978-3-85450-414-6. Excerpts from sound archives of Xenakis's works.